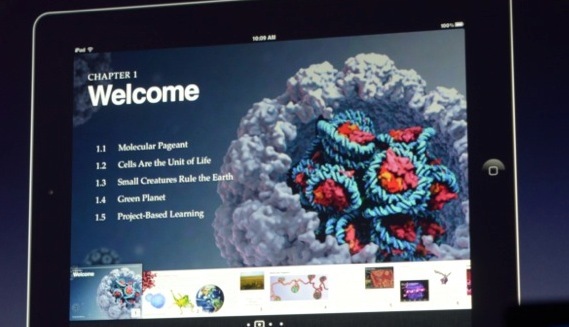 The iPad textbooks demonstrated at the event were highly interactive with 3D models, videos and manipulatable elements. Rotating the book vertically gives you a reflowed layout that emphasizes text, versus horizontally where the emphasis is images and interaction. 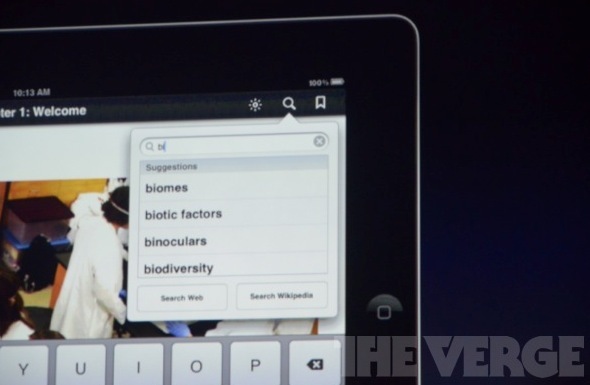 You can pinch the book to zip in and out of interactive media and jump to the table of contents. A linked index gives reference notes and a bibliography, and an inline dictionary aids in defining terms. Visual and interactive Q&A centers can be found at the end of chapters that allow students to test their knowledge. 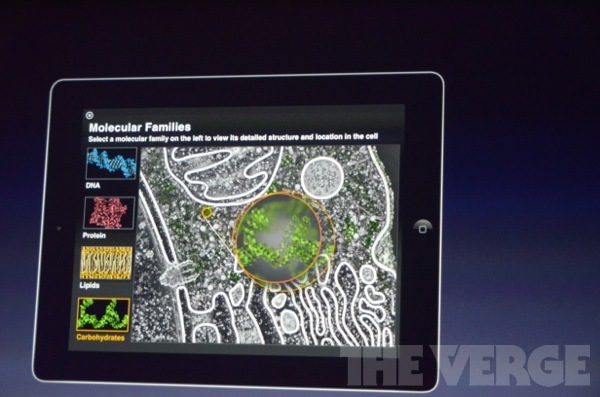 iBooks 2 also includes built-in highlighting and note taking features. 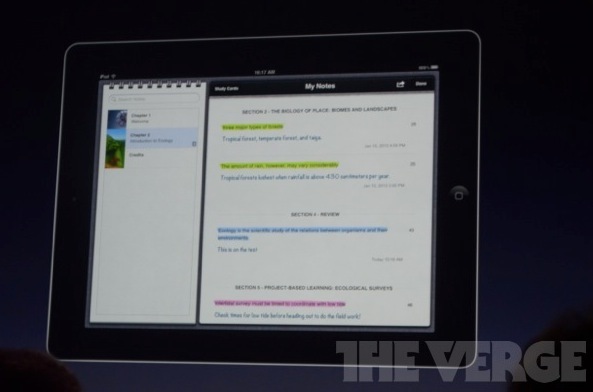 “Your finger is always a highlighter,” Schiller told the audience. Once you’ve highlighted and made notes, they will appear in a collection at the end of the book in a collated section. 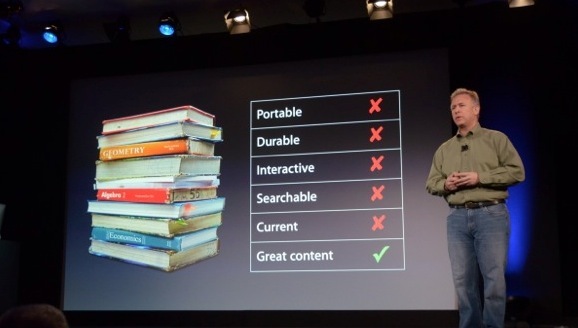 “I don’t think there’s ever been a textbook that made it this easy to be a good student,” said Schiller. The books will be featured in a new Textbook section on the iBookstore and the ones that are currently up on the store are running 1GB+ in size, a good reason to buy your kids an iPad model with lots of storage. They will cover grades 7-12 with current examples running around $15.